Take the game with you! 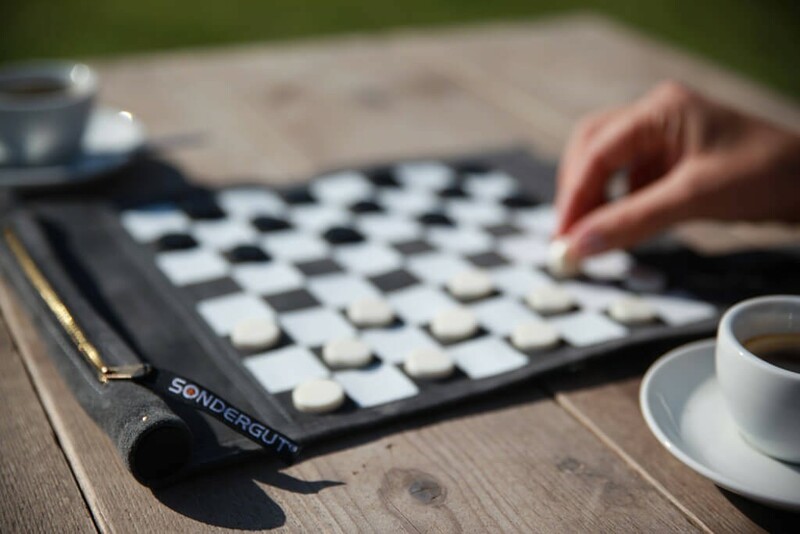 The Sondergut leather board rolls up to the size of a pocket umbrella (10 x 2"). Great for travel or the home! 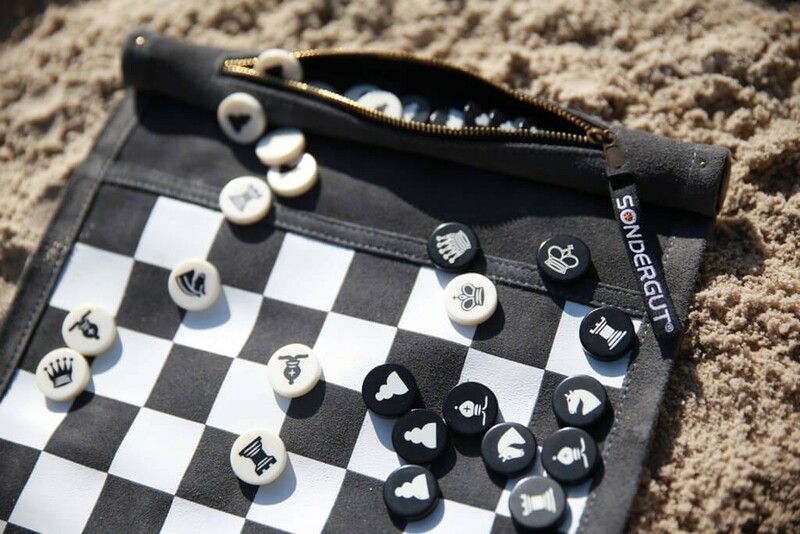 Whether relaxing on the beach, or in an airplane, or at the hotel lounge, you can play chess almost anywhere -- and with style. 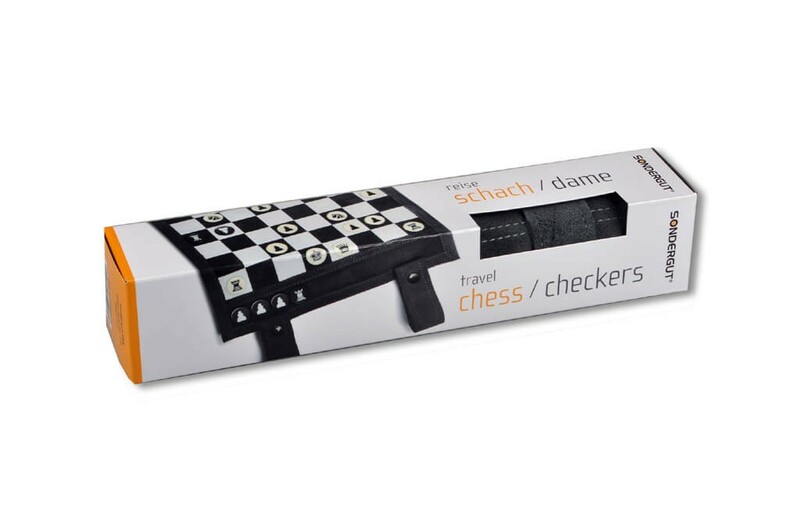 Or, flip the pieces over and play a game of checkers. 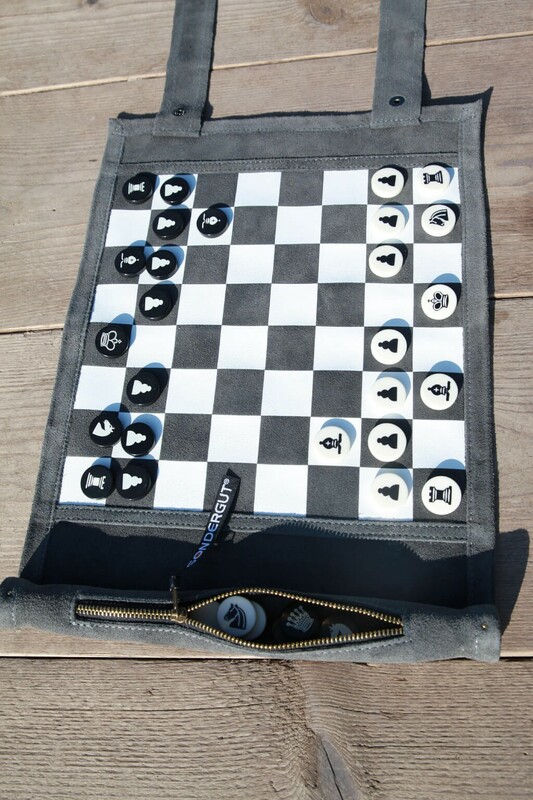 This hand-sewn, full-sized board in velvety, anthracite / white suede has a rich look and feel. When the game's over, store the pieces in the brass zippered pocket. When rolled up, the size is 10 x 2". Open the game and the board is full sized at 10 x 12-2/3".